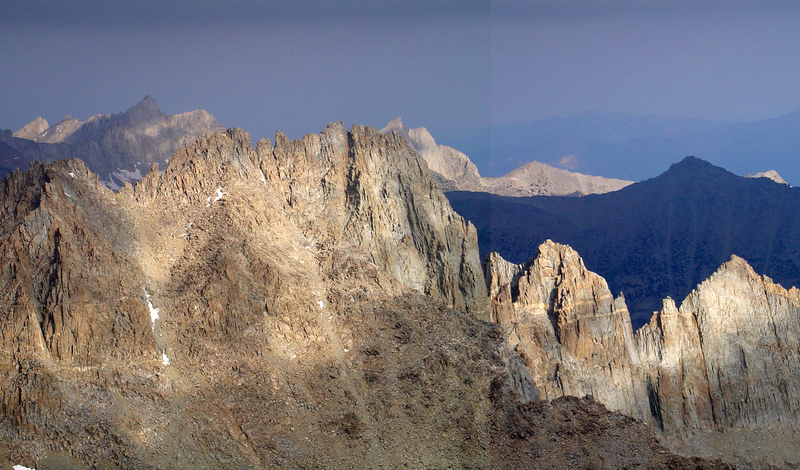 Panorama of the Kings-Kern Divide from the summit of Caltech Peak. Ericsson in front, Jordan in the left back. Photo by Reiner Stenzel.